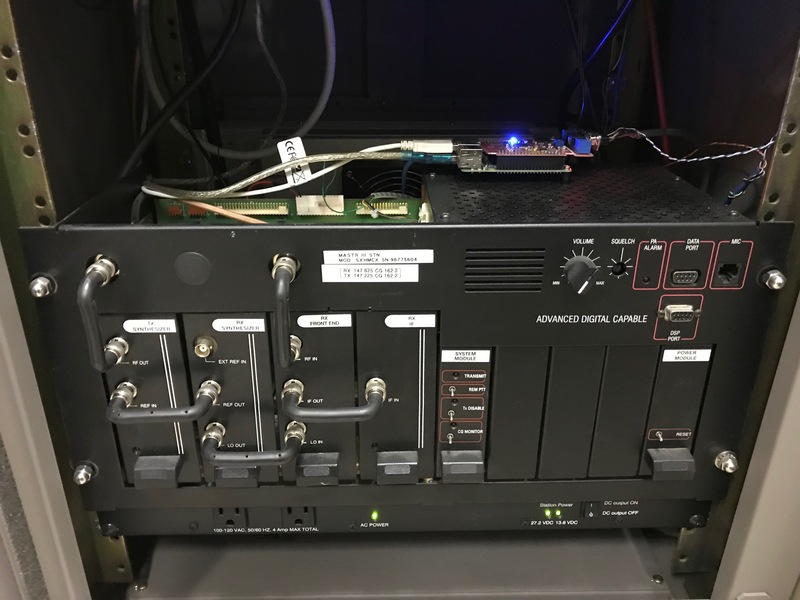 The “Minneapolis 2” repeater on 147.225 is mixed-mode (analog and digital) and is equipped with an S-Com 7330, Raytheon SNV-12 voter, and Allstar node for analog call processing and linking, and an MMDVM with Yaesu System Fusion (YSF),DMR, and D-Star enabled. 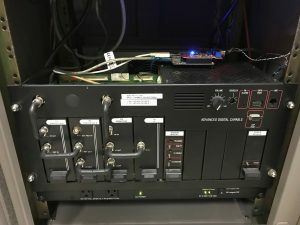 The YSF module is internet connected to the YSF Reflector network and DMR is connected to Brandmeister master 3102. The D-Star module can be linked to REF, DCS, or XRF reflectors on demand. Antenna: DB-224-E at 290 feet, Andrew AL7-50A transmission line. Local users should program this repeater into two different memory channels. Local traffic using tone 123.0 will over-ride K-Link network traffic (locally) and will temporarily drop the K-Link connection both ways for 20 seconds from the last local user transmission. Any transmission on this repeater using tone 162.2 will instantly re-enable the K-Link connection. K-Link audio on this repeater can be interrupted by a local digital user on this repeater for up to 60 seconds after their last transmission. This repeater is normally networked to the “US-Kansas3120” YSF Reflector. You can link to other reflectors by entering WiRES-X mode on your radio and selecting another reflector. Please move it back to US-Kansas3120 when you are finished with your contact. You don’t need to use WiRES-X mode if you plan to stay on Kansas3120. Local and K-Link analog activity have higher priority than digital activity coming from the internet. If this repeater is busy with analog traffic you may switch to “Minneapolis 3” located at the same site. Local digital users can “borrow” the repeater away from K-Link network traffic as long as the repeater is not being used locally on analog. The “borrow” timer will hold off K-Link traffic for up to 60 seconds after the last local digital transmission. The “borrow” timer will be cancelled and K-Link immediately re-enabled by any local transmission with tone 162.2. The US-Kansas3120 YSF Reflector is bridged to KS-DMR Group 3120. You must use DN mode to communicate with DMR users across the bridge. VW mode will not work. If you want your callsign to show up on DMR radios you will need to register your callsign with radioid.net. There are no static Brandmeister talkgroups assigned to either time slot. You may dynamically access any Brandmeister talkgroup on either timeslot by keying PTT with the group selected. Please don’t do this to “lurk” on a group or groups. Dynamic groups remain active for 15 minutes after the last local transmission. The DMR mode on this repeater is offered as a convenience to travelers and visitors with VHF-only gear to use while in our area. Regular local users should use Minneapolis 3 for DMR calls whenever possible. The repeater can be linked to any D-Star reflector. Please unlink from any reflector when you are finished using the repeater.